We were enjoying the late afternoon sun yesterday with friends at their home in Exmouth, when we heard an odd sound. As we looked out over the estuary, I thought my eyes were playing tricks - I was sure there was a man with a set of bagpipes. No, surely not! This is Devon - the other end of the country to Scotland. 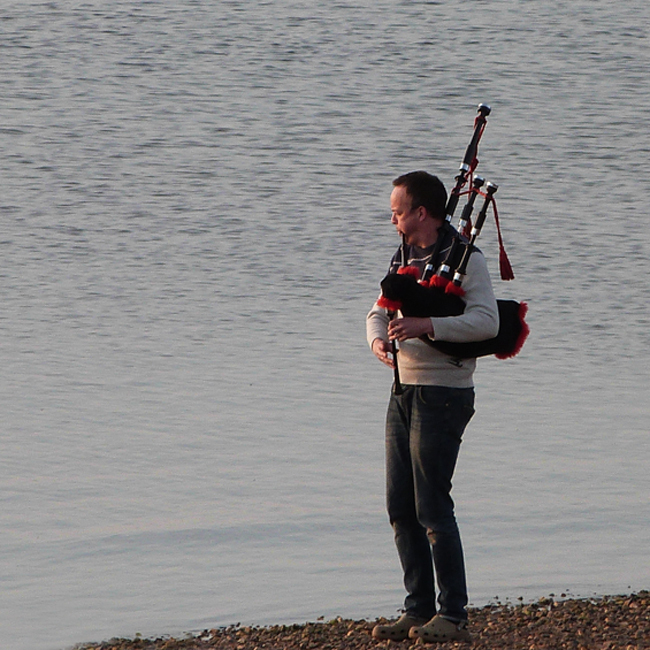 Why on earth would someone be playing bagpipes here? Well, we still don't know, but here he is!